Hattie Belt married William Wise, son of Peter Wise and Elma Ann Kelley, in 1906 at Ohio, USA. Her married name was Wise. William E. Bender was born in 1872.1 He married Belle Denbow, daughter of John Denbow Jr. and Sarah Paith, on 1 April 1893. [S17] John Denbow Jr. Family, John Denbow Jr. Family Bible. 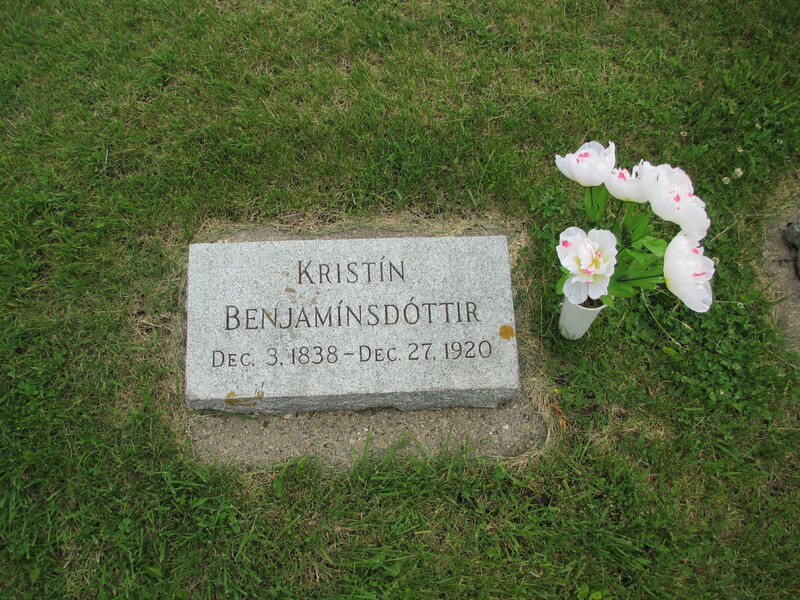 Kristín Benjamímsdóttir was born in 1837 at Iceland. She was also known as Kristín Björnsson. She died in 1920 at Minneota, Lyon, Minnesota, USA. Henry Bess was born in 1820. He married Nancy Ann Denbow, daughter of Bazeleel Denbow and Mary Ann (? ), on 22 December 1842 at Tuscarawas, Ohio, USA. Arthur Beverley was born in 1888. He died on 9 May 1961; Stockport. Christopher Beverley was born in 1870. Florence Beverley was born in 1871. George Beverley was born in 1908. George Treadgold Beverley was born on 11 September 1906 at Indianapolis, Hamilton, Indiana, USA. He married Isabel Kirby, daughter of James Joseph Kirby and Margaret Gill, on 22 June 1936 at Cleveland, Cuyahoga, Ohio, USA. George Treadgold Beverley married Miriam Jane Taylor, daughter of William Worland Taylor and Elsie Mary Blum, on 17 June 1972 at Columbus, Franklin, Ohio, USA. George Treadgold Beverley died on 29 December 1983 at Columbus, Franklin, Ohio, USA, at age 77. He was buried on 3 January 1984 at Painesville, Lake, Ohio, USA. Helen Beverley was born on 25 December 1911 at Painesville, Lake, Ohio, USA. She married Weldon Laity in 1930 at Painesville, Lake, Ohio, USA. Her married name was Laity. James Beverley was born in 1872. Lilly Beverley was also known as Lilly Beverley. Nellie Beverley was born in 1883. She was also known as Nellie Beverley. She died in 1973; Stockport. Roland Beverley was born in 1891. Vincent Beverley was born in 1892. He died on 14 February 1919. William Beverley was born in 1874; Stockport. He died in 1938 at Painesville, Lake, Ohio, USA. Mary Bickle married Gabriel Graham, son of James Graham and Elizabeth Ripley, on 2 April 1815 at Ohio, USA. Her married name was Graham. Mary Billingsby was born in 1900.1 She married Richard Asa Taylor, son of Richard E. Taylor and Ruthey Jane Masters, in 1920. Her married name was Taylor. Bessie P Billman was born on 16 July 1887 at Lewisville, Monroe, Ohio, USA. She was Housewife. She was also known as Bessie P Schell. She died in August 1966 at age 79. She was buried at Lewisville, Monroe, Ohio, USA. Charles Benjamin Billman was born on 9 October 1875 at Lewisville, Monroe, Ohio, USA. He married Pearl Iona Saxon on 3 November 1903. Charles Benjamin Billman died on 26 January 1928 at age 52. Charles J Billman was born on 10 April 1920. He died on 2 November 1929 at age 9. Daisy Marie Billman was born on 17 October 1869 at Lewisville, Monroe, Ohio, USA. She married Joseph N Lafferre on 24 December 1887. Her married name was Lafferre. Daisy Marie Billman died on 7 January 1921 at age 51. Dessie Billman was born on 31 March 1907. She died on 9 April 1907.